Latest YouTube Star: Queen Elizabeth! The 81-year-old British monarch launched her own video site on YouTube Sunday, featuring old news reels and film snippets of daily royal life. Buckingham Palace said Queen Elizabeth II keeps up with new ways of communicating with people and was hoping to reach a wider, and younger, audience through the popular video-sharing Web site. The palace began posting archive and recent footage of the queen and other royals on the official Royal Channel on YouTube on Sunday, with plans to add new clips regularly. 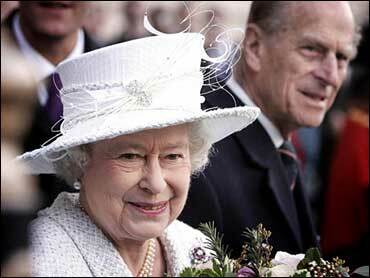 The queen will use the site to send out her annual televised Christmas message, a tradition she began 50 years ago. It's a fixture of a British Christmas, explains CBS News correspondent Sheila MacVicar: At 3 p.m. on the day, her majesty's loyal subjects abandon their turkeys and trees, and around the country, television sets are tuned to the British Broadcasting Corporation, to listen to the Queen's message. This year, though, there's the YouTube twist. "The monarchy has been evolving for a thousand years," former royal spokesman Dickie Arbiter told MacVicar, "and the Queen personally doesn't change, but what she does do is adapt, and she's adapting to the 21st century with creating a Royal Channel on YouTube." The royal page - which bears the scarlet lettered heading "The Royal Channel - The Official Channel of the British Monarchy" - features a picture of Buckingham Palace flanked by the queen's Guards in their trademark tall bearskin hats and red tunics. YouTube, which enables anyone to upload and share video clips, was founded in 2005 and bought by Google last year.